Want the best bang for your marketing buck and get your small business on the fast track? Then you wouldn't want to miss these cool ideas on running some smart and effective marketing campaigns without a big budget. When you're small on budget, but big on ideas and energy, guerrilla marketing can be a powerful tactic especially for localised campaigns. Hit the streets and use available space and resources to unveil your products and services in ways no-one can miss. Well-produced (and legal) graffiti always catches eyes. Make sure you get the wall owner's permission first. Alternatively, you could do a giant graffiti-like poster or mural, or even go for eye-catching stickers. Another popular tactic in the age of YouTube, viral videos and smart phones is the flash mob. You've probably seen them at wedding proposals and for big brands like Dominos and Samsung. However, you can also hire a flash mob company for your local event or pull your staff together and do your own. An excellent guerrilla marketing example is when the York City Pretzel Company started selling pretzel sandwiches and wanted a creative way to announce it. To attract their midweek target audience city workers - they placed tiny sandwich boards around town announcing the new menu item. The signs encouraged people to share pictures of the signs on social media for a discount on their sandwich. It's now one of their highest selling items. A video is fantastic ways to connect with customers using snappy content that literally speaks to them. And with sound and movement working for you, it means you're able to charm them through two senses at once. And it's so cheap when compared to TV, but with the potential for far greater impact, especially if it gets shared around or ranks in search results. 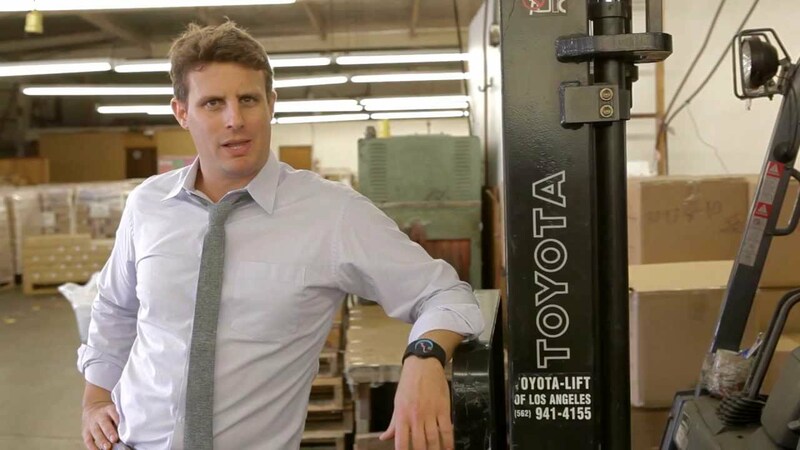 The DollarShaveClub racked up 9.5 million views on a $4500 video campaign about their razors. This launched the company in a market dominated by Gillette and co.. With over 12000 new customers in just two days, you can say video deserved a raise. If you're not already on social media, you probably know that you need to be. But it seems to be such a commitment in time and effort that you don't feel you have. The smart thing to do is to focus your attention on one or two social networks where your audience roam. Whether it's Facebook, Twitter, Instagram, Snapchat, YouTube, LinkedIn, etc. Instead of waiting six weeks for the redesign, they took to Twitter, followed people in their target demographic and began to converse with them. By the time the new site launched, Foiled Cupcakes had more than 2,200 engaged followers and had exceeded their revenue targets by over 600% purely by some smart use of social media. When it comes to marketing in the 21st century, you don't need a big budget. Blending creative ideas with smart use of new and traditional marketing strategies is often all you need to for successful campaigns. And if you need some expert creative and marketing help, have a talk to local Snap Centre today.